Gold Club Members are recognized for sponsoring six (6) or more new members into BNI (any chapter, any region, any time frame). 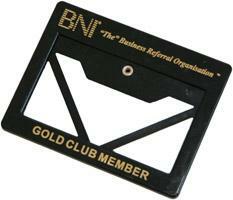 Gold Club Members receive a special member badge along with recognition within their chapter and on the regional website. NOTE: If you feel the information below is inaccurate, please email support@bnimn.com and let us know (1) who you sponsored, (2) which chapter they joined and (3) when they joined BNI. We would like to update our system and recognize you for your efforts! Congratulations to Our Current Gold Club Members!